When I got my Kinect home, the excitement was almost too much to bear. I rushed around, getting the thing hooked up and ready to go; suddenly, some of the ‘awesome’ immediately wore off. I couldn’t turn on the Xbox with my voice, couldn’t navigate NetFlix without a controller, and could only control a certain specific area that made me think of the carnival scene from “The Jerk.” This couldn’t be everything that I looked forward to, could it? Not by a long shot, according to Kudo Tsunoda, Microsoft’s Kinect evangelist. Tsunoda also alleviates some early adopter fears by saying that the new features and new “types of things” will all be developed with today’s hardware. 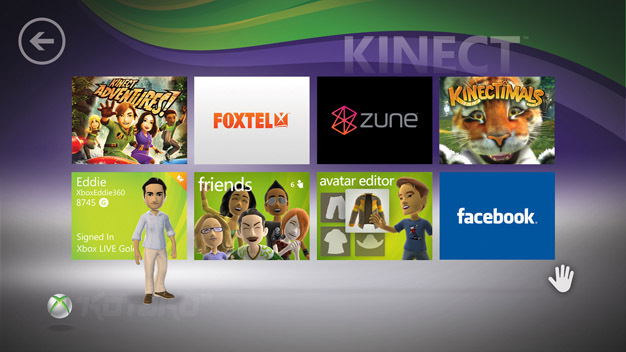 Of course, Kinect has just launched, so no word on what those new things are or when they’re coming.